Aikatsu! – 178 (End) | Mezashite! This entry was posted in Aikatsu! Yon, Rants by Akatsukin. Bookmark the permalink. You’ve done an amazing job for the series, and it was indeed a wonderful ride. Everything about this episode really nailed it for anyone who watched the show from the beginning, and a payoff at the end of 3.5 years is something you almost never see. I look forward to Aikatsu Stars and thank you again for your continued work. No words can adequately express my thanks at the years of work you have contributed, nor the extent to which those efforts have enriched my life. Having only started watching Aikatsu! mid-May last year it very quickly became my favourite show. Many times I found it, just as you said, inspirational which was so rare and surprising. Even besides that, it was always just such an amazing show and I want to express my dearest thanks to you and everyone involved over the years for all the work, dedication and passion put in to subbing Aikatsu! Uh, they did say that they already have plans to work on it. They just don’t know when it’s going to be done. However, I’m looking forward to it myself too because it looks like another awesome movie installment there. I swear to Masquerade it’ll be before Stars. First of all, thank you guys. Because of your hardwork I got one of my greatest experiences with anime. Aikatsu was great fun and helped me through some bad moments, it had good characters, positive themes and love, like you said in your post. I felt the same about Akari. Mizuki and Ichigo were different. They worked hard for it, but they always had that special aura around them. Akari failed more than anyone at the beginning – she was a normal girl, but we saw her growth during the series to get up there with her beloved Ichigo. Both Ichigo and Akari reached the top because they had someone they wanted to reach. 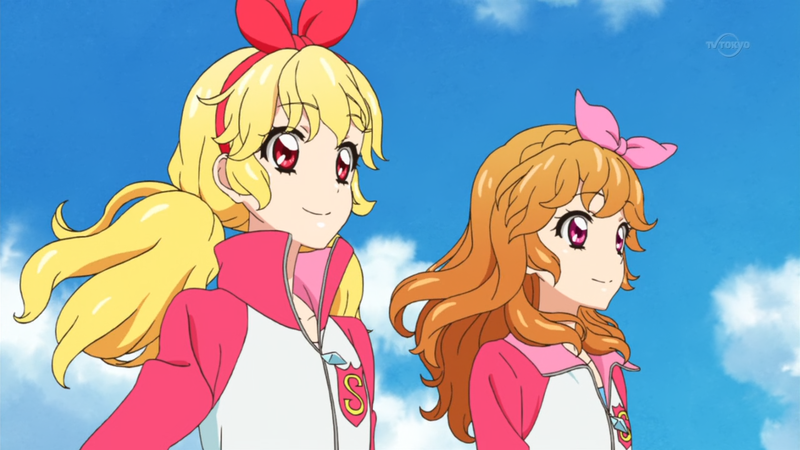 Aikatsu was all about surpassing yourself. Sure, the characters all wanted to be the top idol, but it was in a friendly way. Before surpassing the others, you should surpass your own limits. Anyway, thanks again for this fun ride! Looking forward to watch more idol activies with Aikatsu Stars. Thanks for the translations for all those years, after following Aikatsu for all those years it’s hard to believe it’s ending. It was a fun ride and I hope Aikatsu Stars can be just as good. Thank you very much for your great effort for this 3.5 years!!! I read your post and I’m so moved. I feel the same that you posted. Thanks for subbing all this time and thanks for mentioning Akari’s birthday. So… the end has come. Aw. I remembered when I watched the forst episode and I thought: “No, tjhis anime is not for me”. And then, look at me, Now I am watching this to the final! I really enjoy my time watching Aikatsu and I will miss all characters. 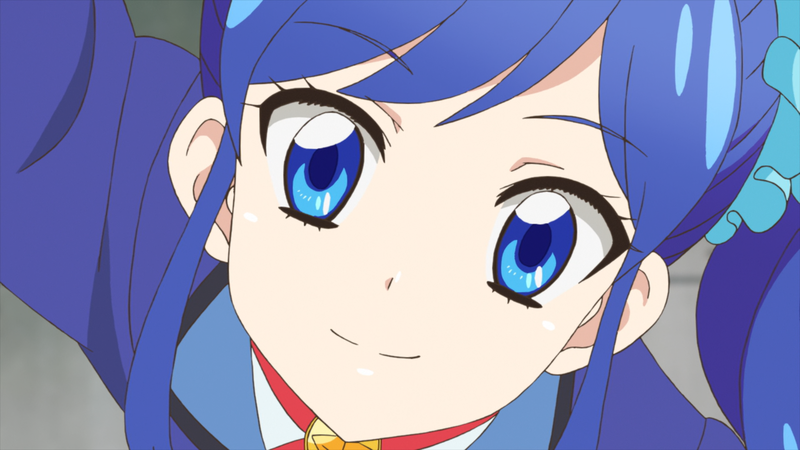 But, at this time, I really don’t want to continue with Aikatsu stars, but, nobody nows, maybe, I’ll watch it. I can’t believe this is going to an end. I even remembered the day when they released the very first episode and I wasn’t even sure if I will watch the series. Saying thank you doesn’t seem to convey all of my gratitude. I’m really happy for being able to watch this anime. I’ve only started to watch it early this year, but it was a long journey full of surprises. Countless times I’d find myself supporting Ichigo with all my heart. I’d even feel a little jealous of Ichigo’s admiration for Mizuki from time to time. Also, seeing Akari always trying to accomplish her goals through many hardships made me feel like cheering her on every time. There were times where I wouldn’t let the episode end because I couldn’t help rewinding some scenes just to watch them again. And let’s not forget about the songs! They were simply superb! Some would lift my spirit, others left me excited, but all of them always put a smile on my face. But it wasn’t all roses. Seeing Sumire fails her appeal or when Mizuki had to cover for Ichigo because she couldn’t keep her pace and do many appeals left me on the edge of my seat. Now that it’s ended, I’ll cherish the memories of the time I spent watching it and every character I met along the way. It’s time to Move on now! Thank you!! tanks guys for all your hard work !!! When I started this show three and a half years ago, I didn’t think it would last more than one or two cours. If I’d known then how long it would be, I probably would not have bothered picking it up, but I’m damn happy I did. Back then, I was still following multiple fansub groups, but nowadays, this is the only fansub site I ever visit. All your hard work is very much appreciated. You deserve a break, although it seems you won’t be getting one. This finale was a good episode, though if there’s one oversight, it’s that they didn’t show Akari going home to her own family. Her mother, especially, was really supportive and helpful for her getting into Starlight in the first place, so it’s quite a shame that we don’t get to see her upon Akari becoming Starlight Queen. There were good times and bad times throughout, but nevertheless, I’ll miss the girls of Starlight Academy. Thanks for all the hard work. I don’t know where I would be without Aikatsu. Thank you so much for all the efforts during these years. Aikastu may have had a great influence on your life but it made a huge impact on mine as well. And that has been possible also because of your work. Let’s all keep working hard, never give up, and spread love around us. ;_; I am not good enough with words to express my gratitude for Subbing aikatsu. Ive been watching since the beginning and it has absolutely changed my life for the better. My gratitude for all the dedication and work the Mezashite team has put forth this whole time is beyond words. I can hardly believe the final curtain has fallen, at least on this chapter, though I also feel this was the perfect way to wrap things. Over the past 3½ years this series has come to mean many things to me – putting a smile on my face after an especially hard day, reminding me that you have to put in the work to achieve the desired results, and that even if you fall short you can always get back up and try again. It’s one series that will long hold a special place in my mind and heart and once again I cannot thank you enough for all you’ve done to bring it to me and so many others. I’ll be looking forward to Stars and will hope it can carry on as a worthy successor. And many happy returns Akari-chan! You said that Akari’s final present was Ichigo and her calling each other by first name, but I didn’t see that statement subbed in your subs. From what I could tell she whispered what she wanted for her present to Ichigo, there was no subbing of the whisper, and that is how it ended. Did I miss something? That is my interpretation, backed up by two things: After the ED, out of the three lines spoken, one of them is distinctly Ichigo calling Akari by name without an honorific, and then in the Aphorism when Akari says “Senpai” Ichigo corrects her. Etoce and I just had a “discussion” about this. He’s of the opinion that it’s possible Akari asked to be in a unit with Ichigo, hence the final scene, and the name thing is a natural extension of it. In either case, they end up becoming equals, which in fact even follows what Ichigo said before the race about being rivals now. If you or anyone else has a different opinion, then we’d like to hear. And no, all lines were subbed, there was no secret whisper we’re withholding. Thank you so much for bringing us this amazing show, and I look forward to watching the new series with you guys! I can’t even begin to describe how much I love this series. It has been an amazing four seasons, and to think that I dropped the show after the first few eps the first time I tried it. I’m so glad I gave it another shot. First and foremost I’d like to extend my thanks in regards to the time and dedication you and the rest of Mezashite have spent towards fansubbing not only Aikatsu!, but your other projects as well. The result of your action allows many others to share the experience that Aikatsu!’s several charms bring and that sensation is as genuinely impactful as it is applicable to your and my own person. This is something that I think regardless of how much I specified, the gravity in which I believe in it’s outcome would still be misinterpreted. Nevertheless I’ll state it clearly and sincerely; thank you for what you’ve done. Aikatsu! is something that has changed my life immensely and to know that it’s fansub group holds a very similar outlook makes me overjoyed. I hope that you stay beautiful and continue to move gracefully. I still remember the day I started watching the show when I marathoned the whole show in 2 weeks till episode 90 where you guys reached by that time. I’m curious if you guys considering subbing Pripara. That would be very nice. To be honest, I wasn’t a big fan of Akari at first, but she sorta grew for me. I was slightly upset that Ichigo never got to become the Starlight Queen, but I’m glad that Akari made it to her throne. That epilogue really made me wish the show would just… go on, but alas, it is time to move on. The last dance scene blew my head, too. I will probably never forget this final episode, for a long time to come. There is one thing that bugged me, though: what the hell happened to that Princess archetype idol who was introduced in that one episode? Thank you guys for all the subs (oh yes, and the magnet links, too). I’d probably never get to love this show if not for you guys! Saionji Tsubaki is the protagonist of the manga, if you can find it. You can see the back of her head in 177 I think. Did anyone even translate the mangas or the light novels? I first picked this show up around 2 years ago. At a time when I was at a very low point in my life. And Aikatsu honestly helped me get through it. This show is so inspirational and heartwarming, and because I found this show, I also found my own belonging in life, and my own passion. Without you guys faithfully subbing each and every episode, I would never have been able to experience that. You’ve helped me recieve one of the most amazing gifts of all with this show, and I honestly could never thank you enough for all of your hard work and effort you put into this. I love you guys so much, and I love Aikatsu! Now I’m gonna go dry my tears, and I’ll see you all in Aikatsu Stars! these past 2 years i spent with aikatsu have literally been the best times of my life. if u do end up reading this comment, i just wanna say im so grateful for all the work youve done for the eng speaking community. I, Anata wa Slug, am completely touched and inspired by your dedication to Atsui Aidoru Katsudo (hope I spelled that correctly #bloop) I recently started Season 4 and man Nono and Risa are THE BEST!!! It probably doesn’t mean much coming from me, but thanks! I hope Stars will have many characters similar to Kitaouji Sakura, Risappe, and a ton of lip-sticked adult characters!! (#WOMP)! YEAH!!! Out of curiosity, will you be making a full batch of the series for download? I want to re-download it all and I would feel like I trolled myself if I go find all the old torrents only to see you guys upload a complete batch later. I suppose at some point. I’ll probably do a S4 batch and then an everything + movies one. First gotta get the music awards out though. Thank you for subbing Aikatsu until the end -^__^- . Wow. That was really beautifully said, and so inspiring and uplifting on its own. Thank you so much for all your hard work thus for to all of you, and I look forward to enjoying Aikatsu! Stars because of the studio’s efforts, and all of your work too! I’m super behind on Aikatsu! and was a teensy bit iffy on Stars, but I’m really inspired and pumped to finish S4 and start Stars this week. Wow, so much of what I wanted to say has already been said by the earlier posters. All I can add is a bit of my personal experience and feelings. I had to look back in my archive where I’ve saved all the episodes of Aikatsu, and it looks like I picked up the first four episodes within minutes of each other, so I guess I can say I’ve been along on this ride since the beginning. My favorite part of Season 1 was watching Ichigo struggling and growing into an idol, and proving to a lot of people that being idols and being rivals doesn’t mean it will cost you your friendships. Ran was one of those skeptics at the beginning, and it took some time to turn her around to where she considered Ichigo and Aoi to be her indispensable friends. I’ve always valued having friends, which have often been scarce in my life, so I found all this friendship and mutual support in Aikatsu very heartwarming. Wasn’t so thrilled with the first part of Season 2, the Dream Academy girls (yes, you, Seira) struck me as a bit arrogant. But it didn’t take too many months before Ichigo even started to win her over, as well as the friendships that formed between quite a few of the Starlight and DreAca girls. Took a while, but their world definitely got bigger through that season. None of the above praise for Akari-chan has ANYthing to do with the fact that we have the same birthday. No, really. Pure coincidence, that’s all. Thank you for everything you’ve done for us ’til now! Seems I forgot to comment on here last week. You’re probably sick of hearing it by now, but thank you to everyone at Mezashite for all your hard work with Aikatsu! – I’ve always appreciated the extra care you take with characterizing the subtitles and the extra notes in the blog posts pointing things I might otherwise miss. Hugs all round from me. See you over in Aikatsu Stars land. Now that coalgirls is officially dropping the BD release for this, any idea where one would get the BDMV to fill the gap/any plans to do that yourselves? I can just slap the subs onto Ohys, but that’s not always ideal. Similar for Stars since korol is apparently dead, it was a good release but only six episodes hurts..